Want to find out the location of a police sobriety checkpoint? There's an app for that. Were you stopped by the police for Driving Under the Influence (DUI)) and need to speak with an attorney? There's an app for that, too. Smartphone users can now download DUI apps that give them advance warnings of checkpoints, speed traps, provide access to attorneys, and even alert users to high blood alcohol content. The apps are designed to make drivers who have been drinking think twice before getting behind the wheel or risk being arrested by police. Checkpoint Apps are the most popular, and widely used by drivers. Checkpoints are specific locations where police stop vehicles in an effort to find intoxicated drivers. Not only do the interactive apps alert drivers to checkpoint locations, they allow drivers to enter alerts into the database for newly discovered checkpoint locations. In Pennsylvania, police must announce in advance the areas in which they plan to set up DUI checkpoints. Some DUI apps are specific to certain states or regions. For instance, in California, the "Mr. Checkpoint" app provides daily updates of the locations of scheduled checkpoints in the Southern part of the state. If Pennsylvania drivers discover from their apps that they are approaching DUI checkpoints, state law allows drivers to legally make maneuvers to avoid the checkpoint. Police can arrest drivers who violate traffic laws to avoid the checkpoints. A DUI arrest can be a life-altering event so it's wise to seek legal advice about your rights. If in the Pennsylvania area, search the internet at kellislaw to find a DUI attorney. Blood Alcohol Content Apps (BAC) use calculators to allow drivers to check their BAC level before driving. You can input your age, weight, gender, and drinks consumed; the device will spit out a measurement of your bac. Some will sound an alarm to prompt the user for periodic input, and others use the motions sensors to see if you can balance on one leg. For intoxicated drivers, the apps provide phone numbers and gps locators to make it convenient for you to be located by cab companies. The "DUI STOP" App gives drivers 24-hour-a-day access to DUI lawyers in their local area. Rather than trying to find an attorney in a telephone directory, the app helps drivers connect directly to attorneys after their arrest. The app also provides information on state DUI laws. 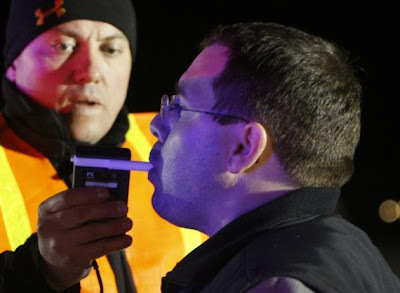 A first-time DUI offense in Pennsylvania carries no minimum jail time but drivers have to pay at least $300 fines and risk a one-year license suspension if they refuse to take a breathalyzer test. Second and third-time offenders face jail time, license suspension, and fines ranging from $300 to $5,000. DUI Apps receive mixed reviews - they have drawn criticism from police agencies who claim the apps help drunk drivers dodge checkpoints, and avoid getting caught by police. Anna Duerr, Communication Director of the national Mothers Against Drunk Driving (MADD), said their organization does not support apps that allow people to avoid checkpoints. In 2011, Apple prohibited Checkpoint DUI apps that are not published by police agencies. Drivers also have mixed reviews with many giving praise, and with some complaining that the apps’ maps do not load and the GPS does not work. Drivers with smartphones who enjoy drinking out now and again should consider downloading a DUI app, not to evade police, but to protect yourselves and your passengers. As with any mechanical gadget, the apps may not be 100% failproof, but if there is any doubt about the accuracy of the data, simply choose not to drive. For those who enjoy a spirited night out on the town, Teresa Stewart writes about DUI app technology which could save a life. Steve Kellis, of The Law Offices of Steve E. Kellis, is a DUI attorney in Philadelphia, PA who has 20 years of trial experience. His strategy includes disproving evidence and arguing to suppress evidence which may result in a case dismissal.